1 edition of The Vicar of Baghdad found in the catalog. Add another edition? 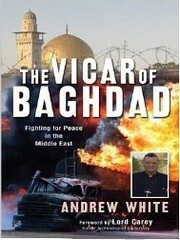 Are you sure you want to remove The Vicar of Baghdad from your list? Published March 24, 2009 by Monarch Books . As the vicar of St. George's Church in Baghdad, the only Episcopalian church in Iraq, Canon Andrew White has worked with those at the highest levels of authority in Iraq, for both Westerners and Iraqis. Now, as political and military solutions continue to fail, Andrew offers a different approach to making peace in the Middle East-speaking as a man of faith to men of faith. In The Vicar of Baghdad he tells the story of his work to create peace through God. September 6, 2016 Edited by Todays Martyrs Reviewer Edited without comment. September 6, 2016 Created by Todays Martyrs Reviewer Added new book.